This year’s HEDNA gathering exceeded even my loftiest expectations, with 355 people marking the highest attendance to date. It was an inspirational meeting with the leading thinkers in our field providing plenty of insights to spark in-depth discussions about the core challenges facing today’s hospitality sector and the future direction of our industry. AI and ML were major topics of discussion throughout the conference, with a focus on the great importance of seamlessly integrating artificial intelligence into the core ingredients required to provide exemplary customer service. The future of our industry will include a wide range of technologies driven by AI and ML, including facial recognition (smart glasses), caching (using ML to determine which data is most valuable to cache at specific times), and room mapping (harmonizing the multitude of systems describing a room type differently). At the same time, as the use of these advanced technologies increases, the industry faces the significant challenges involved in its integration. The growth of AI and ML is particularly difficult to manage due to the hospitality sector’s frequent use of older technology with siloed data that cannot easily talk to the latest systems. I hope to see our industry take a big leap over the coming year to let go of antiquated ways of managing data to develop comprehensive solutions capable of full integration with every technological arm required to run today’s software as well as tomorrow’s innovations. Major advancements in the value of algorithms are already changing the manner in which buying and decision making occurs, with increasingly accurate predictions of the ancillary services and products that a consumer will be interested in based on a purchase. Millennials prefer texting to all other forms of communication, with other generation segments rapidly joining this shift. Although luxury hotels remain focused on “high touch,” their customers desire this style of communication less-and-less. This fundamental change in consumer preferences is expected to result in the growing usage of chatbots, webchat widgets, and messaging, as an increasing percentage of people embrace this evolution. Virtually everyone has a mobile device these days, which is leading the industry toward further deployments of systems that resemble the simplicity of the very things that people are already familiar with, such as voice and other IoT solutions frequently used in homes. Latency continues to be one of the biggest obstacles standing in the way of deploying advanced technology solutions. In the dynamic world of hospitality, data sharing must be immediate for technology to be effective. When a hotel is connected to Expedia or other OTAs, a delay of even just a few seconds can cause havoc, with the potential of double bookings and other unacceptable complications. Technology experts in our industry are working diligently to solve this significant challenge to allow the deployment of the best solutions without any latency of connectivity. On the disruption front, Airbnb’s star continues to rise as consumer expectations and preferences shift, with the travel “experience” coming to the forefront of the market landscape. Unfortunately, many experts believe that an economic downturn is on the horizon. Although it’s too early to know when this situation will impact the hospitality sector, some believe we’ll see this slip beginning as soon as the end of this year. 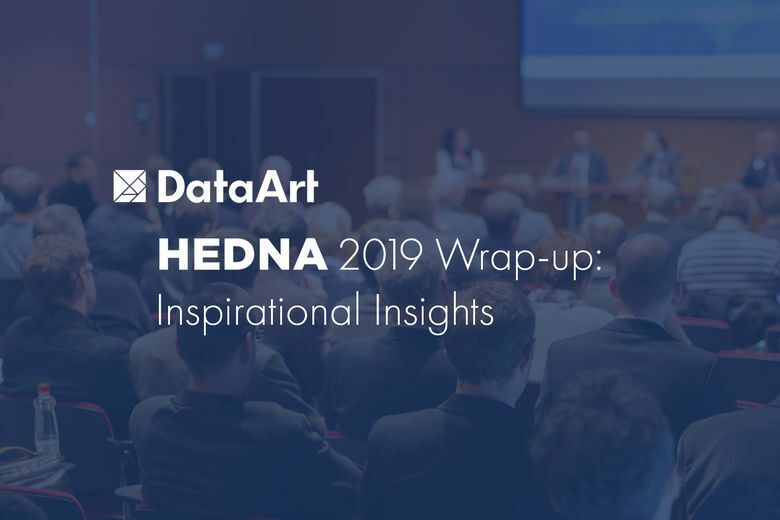 Overall, HEDNA 2019 was a wonderful opportunity to discuss the core principles of our evolving industry with the leading minds. As the integration of technology grows exponentially throughout the hospitality sector, the execution of innovative solutions is improving the landscape of our industry in monumental ways. Please share your thoughts about HEDNA 2019 with me on LinkedIn. DataArt has earned the trust of some of the world’s leading brands and most discerning clients, including Nasdaq, S&P, United Technologies, oneworld Alliance, Ocado, artnet, Betfair, and skyscanner. Organized as a global network of technology services firms. DataArt brings together expertise of over 2,200 professionals in 20 locations in the US, Europe, and Latin America.